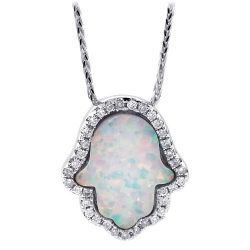 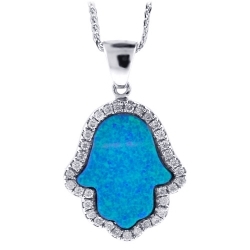 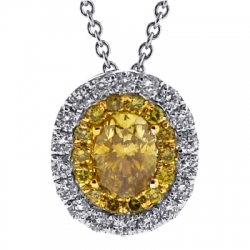 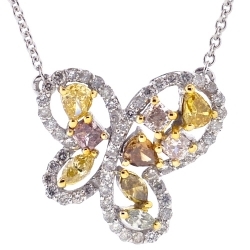 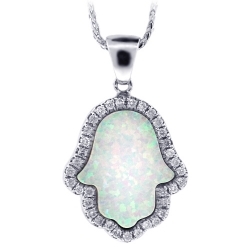 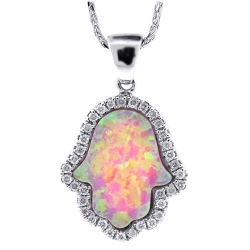 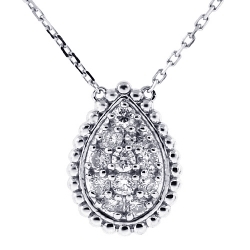 Try our gemstone drop necklace, if you want an affordable and elegant update to your look! 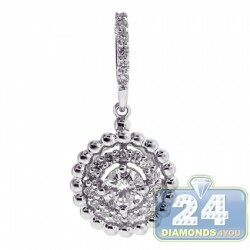 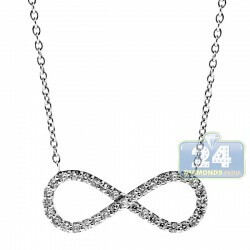 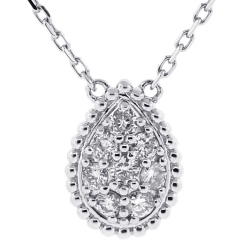 It's masterly made of cool 14k white gold, and highly polished for shimmering finish. 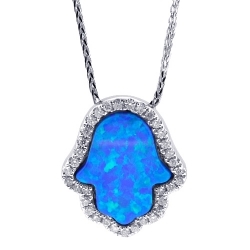 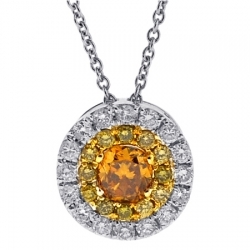 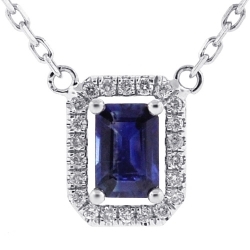 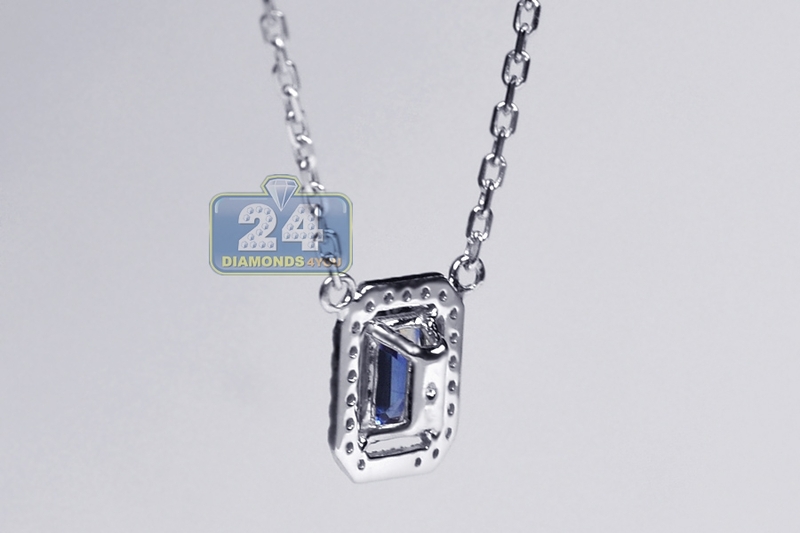 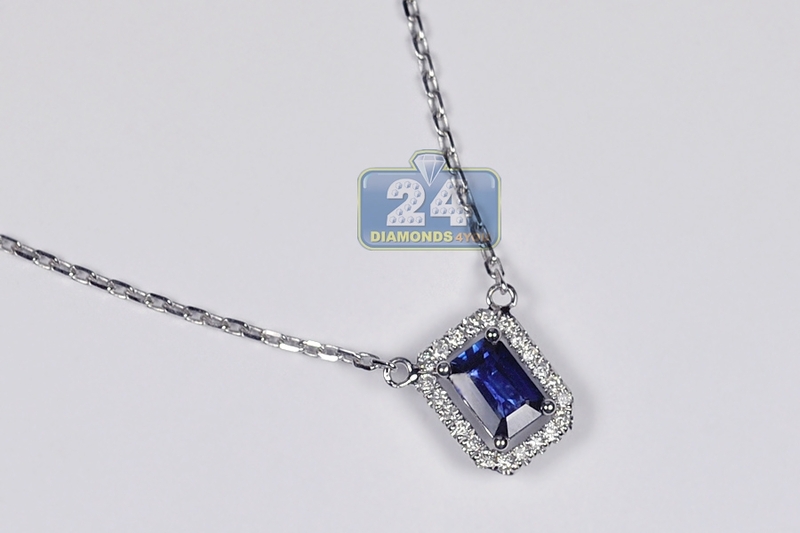 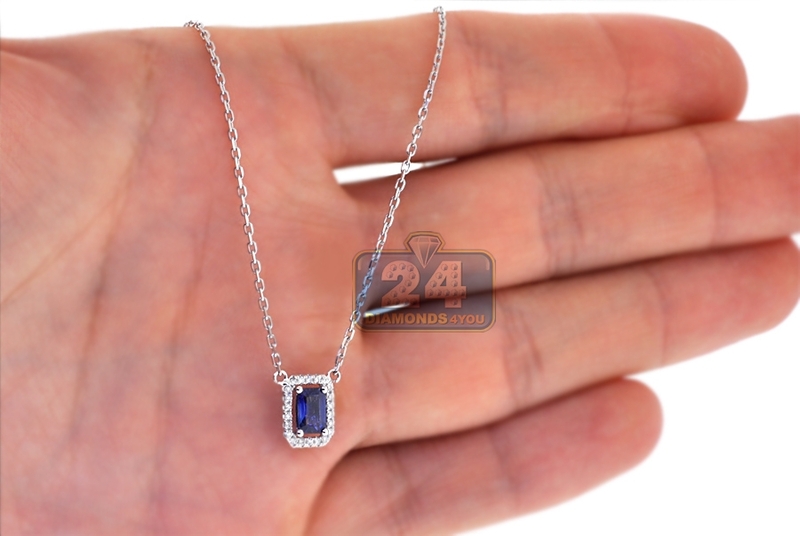 The drop pendant features halo setting that encrusted with heated blue radiant-cut genuine sapphire (0.62 carat) in the center, and white round-cut diamonds (0.12 carat) around. 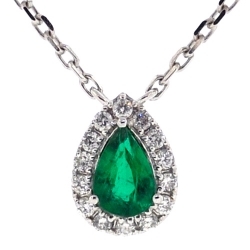 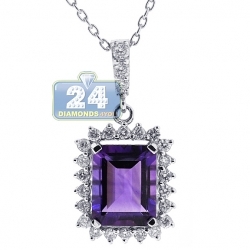 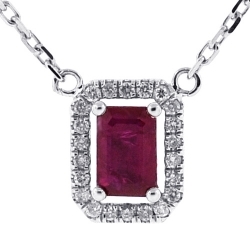 This women's gemstone pendant measures 10 x 7 mm; and a fine cable chain makes this piece 16.5 inches in length. 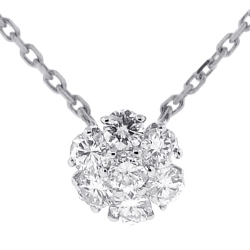 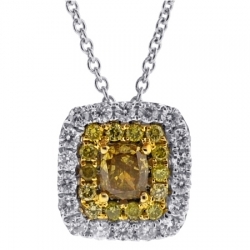 There's no wrong way to wear this lady's diamond necklace!